A French journalist has been murdered in Central African Republic, President Francois Hollande's office said in a statement Tuesday, the first Western reporter to be killed in the country since France sent troops there in December. 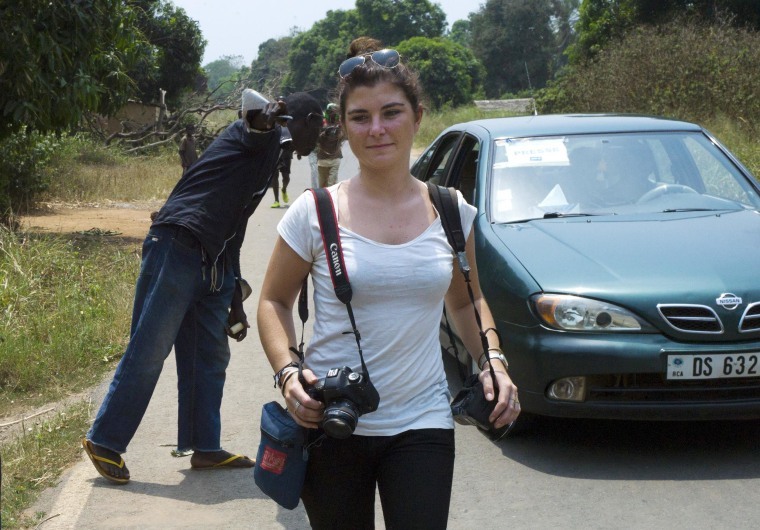 Camille Lepage, 26, a freelance photojournalist, had been based in South Sudan since July 2012. French troops found her body in a car they had stopped, the presidency said in a statement. The car was being driven by members of the mainly Christian "anti-balaka" militia in the western Bouar region. "Everything will be done to uncover the circumstances of this assassination and to track down who murdered our compatriot," the statement said. The former French colony descended into chaos after the mostly Muslim Seleka rebels seized power in March last year. Their abuses against the majority Christian population set off a wave of revenge attacks, killing thousands. Thousands of French and African troops have failed to stop the intercommunal violence. Lepage said on social media on May 6 that she was traveling with anti-balaka fighters to Amada Gaza in western Central African Republic near the border with Cameroon. Father Jean Maruis Zoumaldé, director of Radio Siriri in Bouar, said she had been in an area where there was heavy fighting between the two sides.